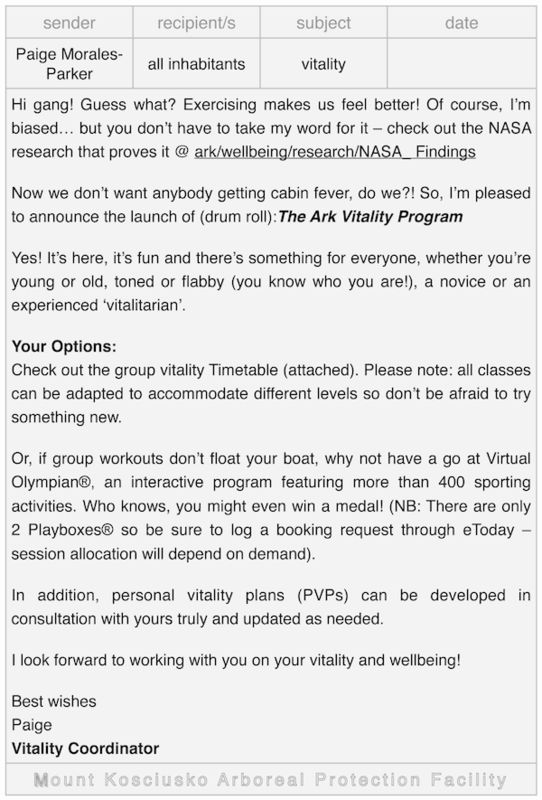 The research I did on life in confined environments such as space-stations got me thinking about the importance of exercise, for both physical and mental wellbeing and the obvious constraints on exercise imposed by the small spaces inside the Ark. I created a series of documents around these musings which didn’t make the final cut because they were really just background information and not critical to the story. 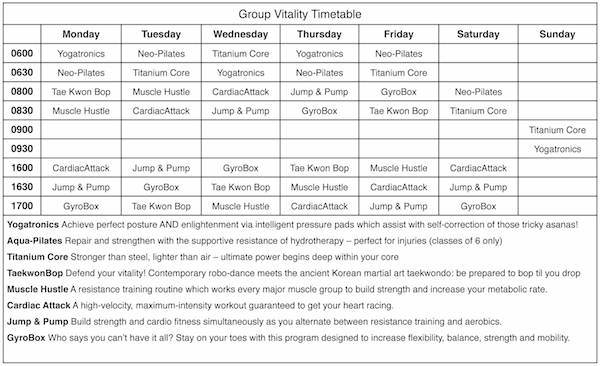 But I had a lot of fun coming up with names for the group exercise sessions! Do you know where I can get some of those intelligent pressure pads? Are they very expensive? Of course, with Chaos happening sll around me, they may not be of much use to me for mich longer, but you know, I just thought I’d ask! Hi Gummie, thanks so much for your message. You can order them from the NASA store. Pretty cool to think you’re using the same gear as real astronauts, hey? They are a little expensive – 970 credits per pair – but what could be a better investment than your health and wellbeing? 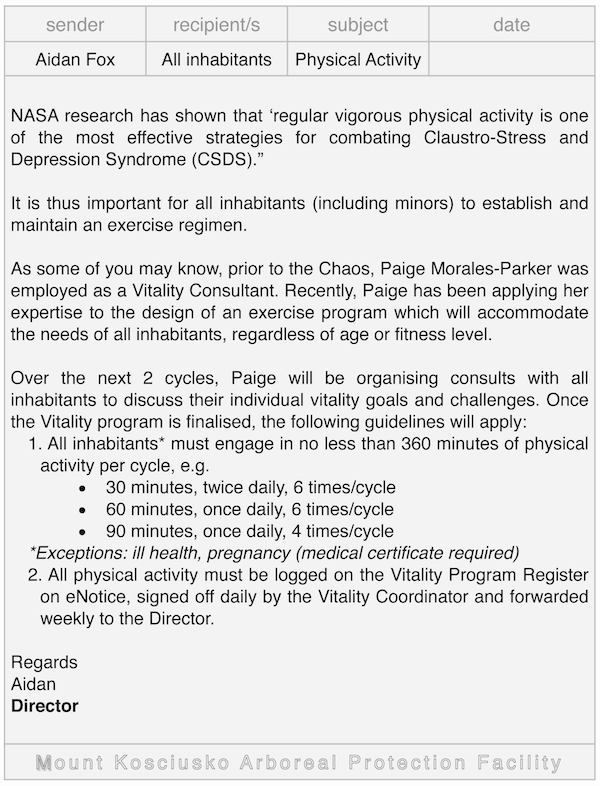 Don’t let the Chaos deter you – Keeping fit is now more important than ever – survival of the ‘fittest’ will prove to be absolutely true. Good luck with your yogatronics and I hope we can meet someday when the Chaos is over – and maybe even have a workout together!